Dollops of Diane: Little Elliot, Big City: Book and Wall Decal Giveaway! 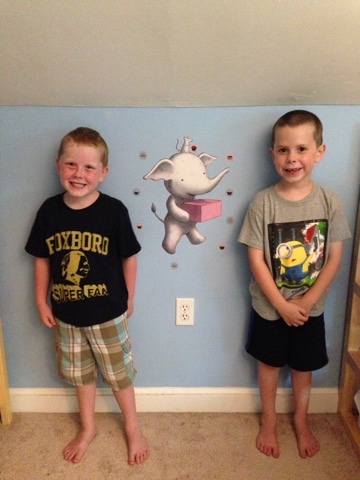 Little Elliot, Big City: Book and Wall Decal Giveaway! But beyond sounding biased because we have a personal connection to the book, it really is a cute story with beautiful illustrations and a kind message. 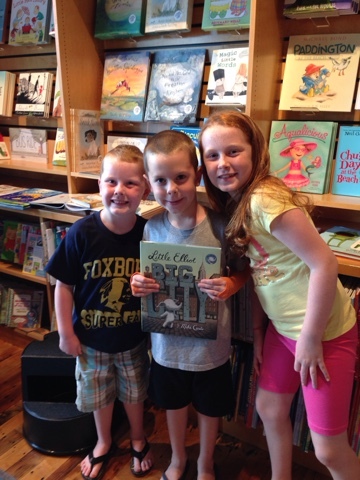 We can't wait for Little Elliot, Big Family to hit the shelves on October 6, 2015! We were also recently given the opportunity to receive wall decals from Live In A Story featuring none other than Little Elliot. The kids were so excited! Live In A Story decals are designed by picture book artists, eco friendly, and made in the USA. The decals were super easy to apply, stay on well, and add extra excitement to the room! Super cute, right? One lucky Dollops reader is going to receive a free copy of Little Elliot, Big City AND a set of Live In A Story wall decals! In addition to this prize being great for you, it could also make a great donation to your child/grandchild's classroom or a local library! Enter via the Rafflecopter form below. *Disclosure: I received complimentary wall decals to help facilitate this review. As always, all opinions are my own.